Etiology: Splay leg can have multiple etiologies. It can also be a familial or polygenic condition. Incidence: The incidence of splay leg is moderate. Clinical Signs: Rabbits present with varying clinical manifestations. 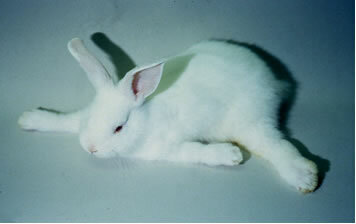 Affected nursing rabbits cannot adduct affected limbs. The condition may affect one or more limbs. Starvation due to inability to reach food or water dishes may occur.